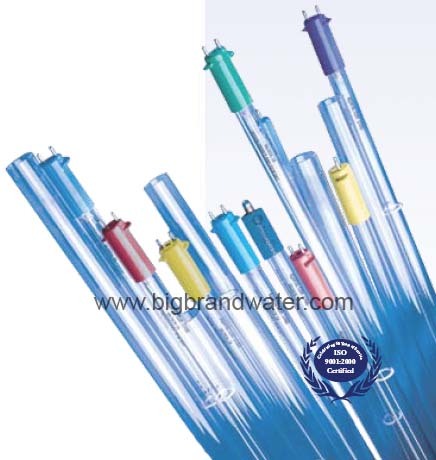 Big Brand Water UV lamps and quartz sleeves are produced from the finest quality materials available in the industry. Over the years, it has been demonstrated that the amount of UV dosage available to the water stream declines as a function of the lamps operating time. 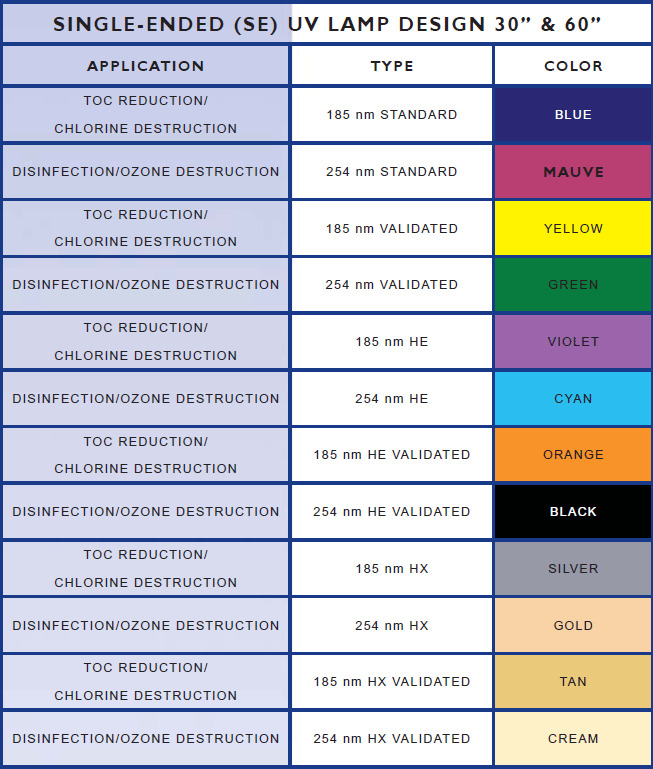 Studies have shown that the degradation of the quartz sleeves, caused by continuous exposure to UV radiation, reduces the amount of UV radiation transmitted into the water stream. Based on these findings, Big Brand Water recommends the annual replacement of the quartz sleeves, in addition to routine cleaning to achieve optimal intensity, especially for critical water processes. Big Brand Water works closely with suppliers to ensure only the best components are engineered into the UV lamps, with matching power supplies for optimized UV output. The less expensive lamps available are typically manufactured from soft glass. While these lamps look and feel similar to their hard glass counterparts, their performance falls short with shorter lamp life and less UV output.